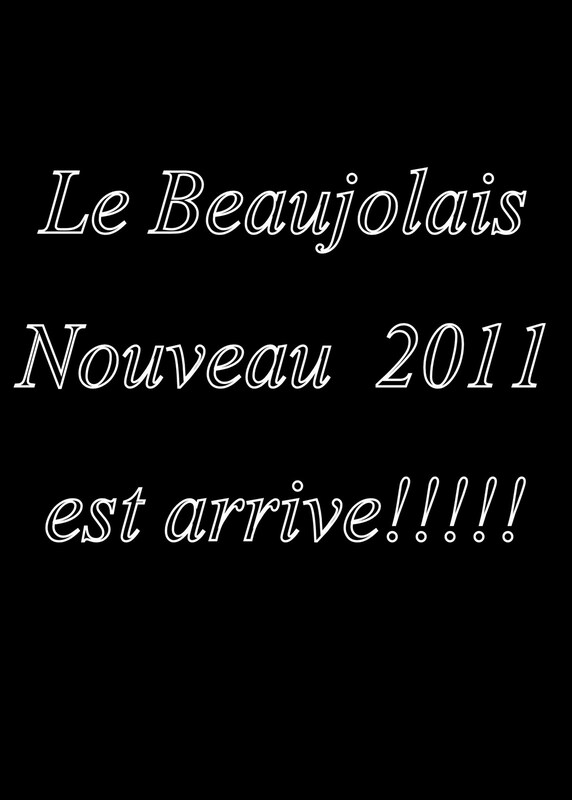 Last Thursday was the release of the 2011 Beaujolais Nouveau. It is more than 60 years that this wine is traditionally released in France amidst lots of celebratory fanfare and festivals. Here in the states the Beaujolais is released and ready for sale on the third Thursday in November. The wines are young and meant to be consumed within 3 to 6 months of release. The young wine is light with plump juicy red cherry and berry flavors and mild or low tannins. All this makes for a very food friendly wine which is a great pairing for the variety of foods and flavors on our Thanksgiving tables. Here are just three examples of the many varieties of Beaujolais’ that might be offered in your local wine stores at a price of approximately $10. Georges Duboeuf 2011 Beaujolais Nouveau has strawberry fruit flavors with light tannins. Joseph Drouhin 2011 Beaujolais Nouveau has red cherry flavors in this light fruity wine. Henry Fessy 2011 Beaujolais Villages Nouveau has black cherry fruit flavors with just a hint of sweetness. This is a more full-bodied wine for those who prefer more boldness in their wines. Another perfect food friendly wine for the holiday dinner table.